Last night history was made when Jimmy Fallon took over for Jay Leno as host of the Tonight Show. Jay was getting older, and as funny as some people thought he was, he was having a hard time connecting with the demographic. It was time for a fresh start. After all, Jay Leno didn’t create the Tonight Show, he was the lucky caretaker of it for 22 years. Jimmy Fallon left Saturday Night Live, made a few movies, and became the host of Late Night. Conan O’Brien passed the Late Night pickle to Jimmy when he was promoted to host the Tonight Show. Jay Leno was being pushed out and Conan was taking over. Unfortunately that didn’t last long as Jay fought back, wanting to return to the Tonight Show. NBC reversed their decision, brought Leno back and fired Conan. Conan moved on to begin a new show on a different network and it’s bigger and better than ever. Many people, myself included, have a very hard time overlooking what Jay Leno and NBC did to Conan O’Brien. Jay Leno announced his retirement (again) last year. Soon after that it was announced that Jimmy Fallon would take over the Tonight Show. Later it was announced that Seth Meyers would be taking over Late Night. I am very excited about all of the recent late-night changes at NBC. Jimmy was doing such an amazing job in the 12:35 time slot and is the BEST choice for the 11:35 time slot. 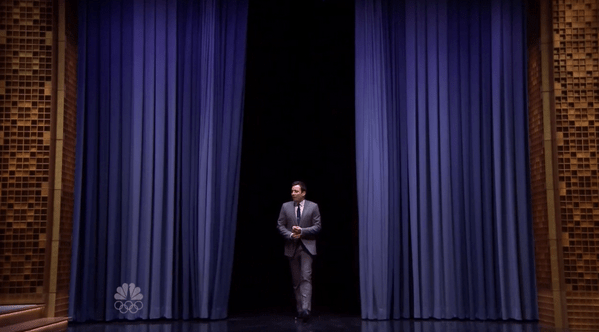 Jimmy has always understood and respected the history of Late Night and the Tonight Show. He is going to do a fantastic job. Seth Meyers is a great choice to take over Late Night. Together they are breathing new life into the late-night game. Jimmy Fallon has brought The Tonight Show back to New York City for the first time in over 40 years. Jimmy’s set had a wonderful renovation – and it was great before. It now boasts an array of wood tones with a gorgeous blue curtain. Very grown up. Very polished. 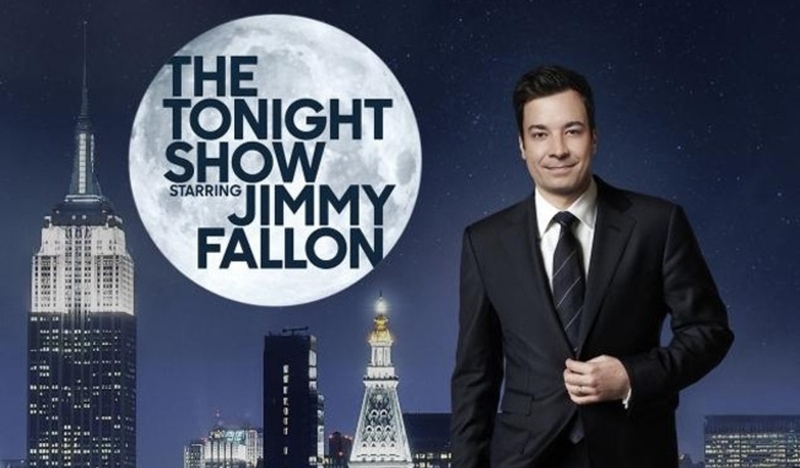 Jimmy Fallon hosts the Tonight Show weeknights at 12-midnight during the Olympics, then moves to his regular time slot at 11:35pm after your local news. Seth Meyers premieres as new host of Late Night on Monday February 24.